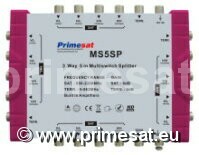 Primesat MS5SP, 5 in (from lnb and aerial) to 15 out (to multiswitches) splitter. 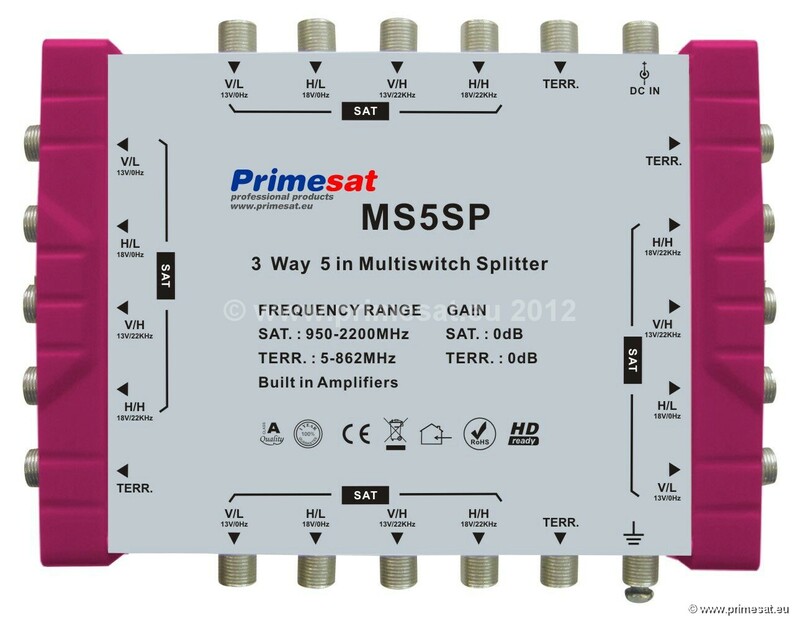 This splitter would be used if two or three multiswitches were required. Example 1. If 64 outputs were needed, the largest multiswitch is 5 X 32. If the LNB feeds into the splitter and two 5 X 32 multiswitches are connected to the splitter, this results in 64 outputs. Example 2. If 96 outputs were needed, the largest multiswitch is 5 X 32. If the LNB feeds into the splitter and three 5 X 32 multiswitches are connected to the splitter, this results in 96 outputs. 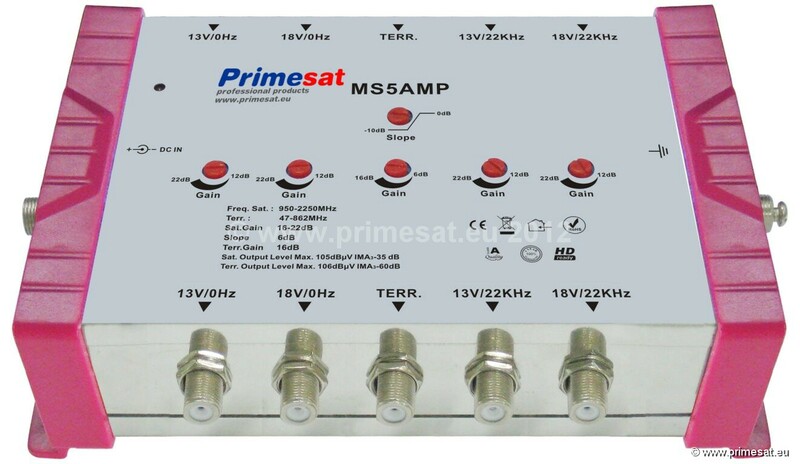 Primesat MS5AMP, 5 in and 5 out amplifier. A 5 X 5 amplifier is usually used in front of a splitter to make up for losses in the splitter. The LNB connects to the amp, the amp connects to the splitter and the splitter connects to the multiswitches. The amp could also be used near the satellite dish, if a very long cable run is expected.